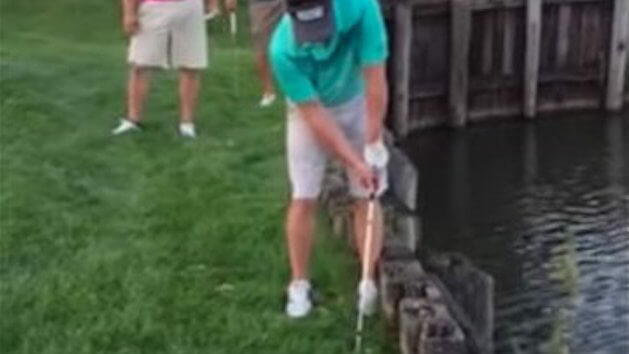 Guy tries to pull off a miracle shot, ends with an unforeseen outcome. You catch a good break, your ball doesn’t roll into the hazard but unfortunately you’re been left with a very tricky shot up against a railway sleeper with no back swing. What do you do? Take the drop or have a go at it. Ouch!!! Straight into the unmentionables!! !